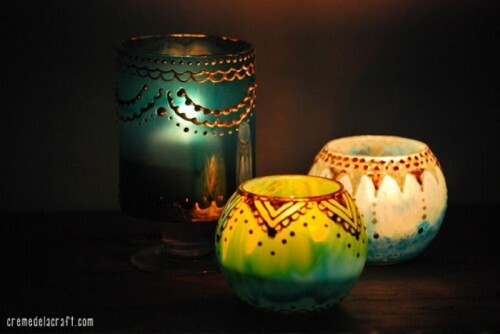 Eastern things are always bright, they attract attention and make accents. 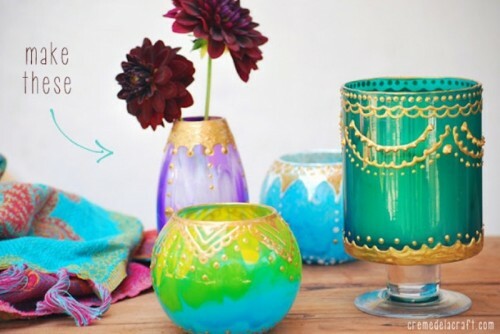 Let’s make a Moroccan style candle holder. 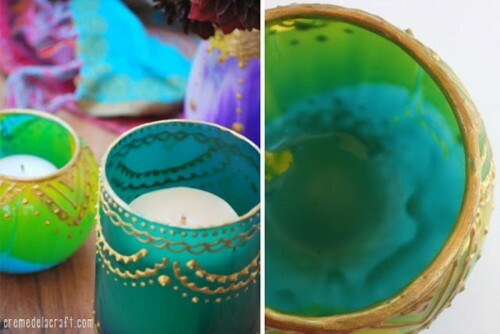 The supplies are a glass jar, candle holder or bottle, transparent glass paint, puffy paint/dimensional paint, a paper plate, an oven. 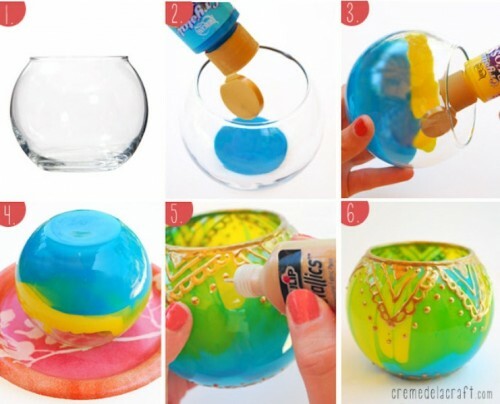 Pour glass paint into the jar so that the bottom is completely covered and turn the jar on its side so that the paint begins to spread onto the walls. 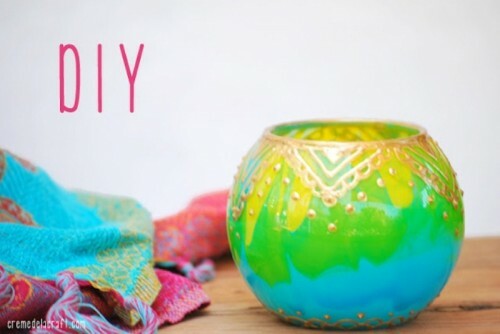 Add your second color onto the side walls and continue to turn the jar so that all sides of the walls have some paint on them. 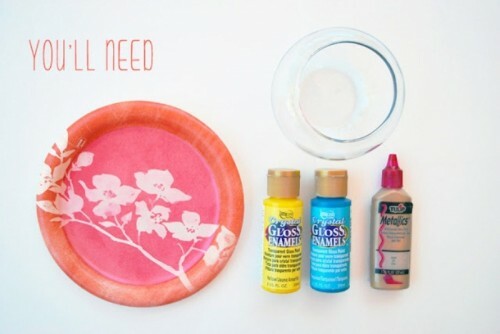 Turn the jar upside down and let the excess paint drip down for about an hour, moving the jar around every 15-20 minutes to prevent it from sticking to the paper plate. Let dry for 48 hours and then bake it for 30 minutes at 200°F. Using the applicator tip on the dimensional paint bottle, paint your desired pattern onto the bottle. Have a look at your piece and fall in love!